This is my first time doing a "What I'm Loving Wednesday" post and I'm so excited. 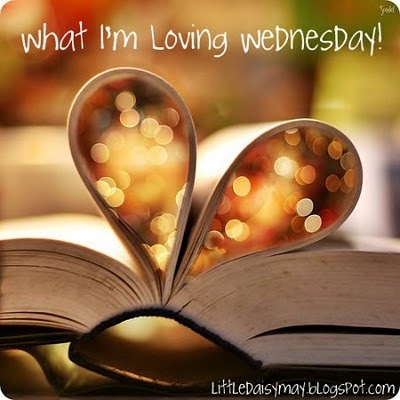 I'm loving the concept of "What I'm Loving Wednesday" - it's reminds me of my random postings but with a theme! 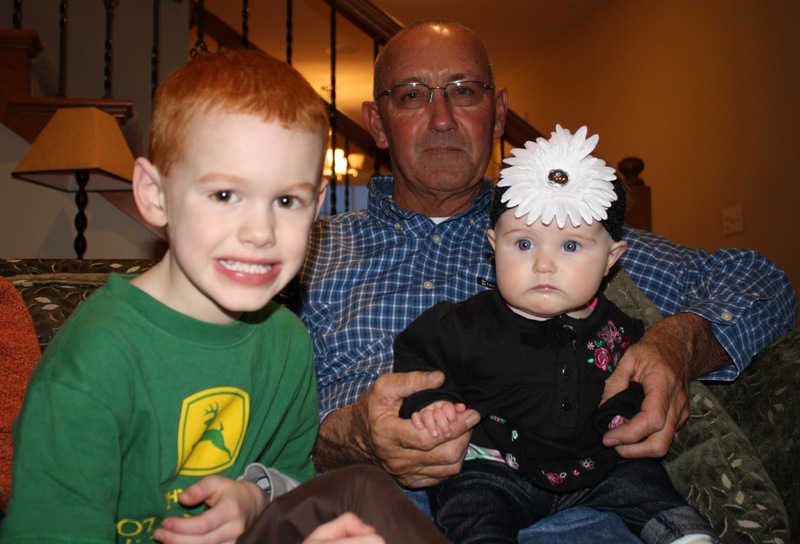 I'm loving that my baby sis and her family are moving back to the family farm this weekend! Now she'll be just 5 minutes away from me instead of 2 hours. Add to that, my other two sisters now practically live next door (in separate homes) to my baby sister and you have pure sisterhood bliss! I'm looking forward to a lot of sister bonding times over the next 40 years or so. I'm loving that ALL of my nephews and nieces will be within 5 minutes of their Aunt MeeMee now, including my niece who through a scheduled C-section should be arriving tomorrow! There is no other role I enjoy more than my role as Aunt MeeMee...who would blame me with kids this cute...check out the huge flower and the jeggings on that girl! I'm loving that I can reach out to other bloggers with questions about "how they do that" on their blogs and they are willing to help me. Thank you! I'm loving my community of blogging pals who in some cases are wonderful friends outside of cyberspace. I grew up on a farm, studied agriculture in college and continue to be involved in this great industry that feeds our community, country and world...and these women are wonderful representations of who and what agriculture is! 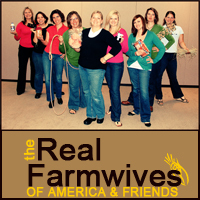 The Real Farmwives of America and Friends are ALL actually either farmwives or somehow tied to farming...unlike those other "wives" out there some of whom are not wives...I don't get that. I'm loving that after what seems like MONTHS of frigid temperatures, ice, snow and gloom, it's supposed to hit 40 degrees by Sunday. Bring on the sun! What are you loving today? Visit this kind of love and join the fun! Wasn't baby sister and family up my way???? Glad you have everyone close. I just sent a box off to my nephew in Afghanistan. It seems like just yesterday he was two years old playing with his toys. He LOVED Boba Fett growing up.....now he's 27 and a Captain in the Army, an Army Ranger no less. Sigh..... Enjoy them; they grow up so quickly. I love that you love so much!!! Also...just where did you get the image of the open book at the top of this blog?! I kinda love tiny sippy drinks as well. You are in good company.